As heinous as it sounds, this game is not only real, but marketed as an attempt to raise awareness against animal cruelty. Following this logic, one can only imagine what anti-pedophilia or anti-racism games would involve. 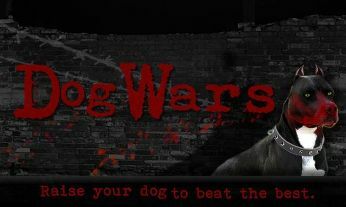 Search images of “dog fight victim” on the Internet if you want to see the true face of dog fighting and decide whether you think it is an appropriate subject matter for a game. Desensitizing people to the horrors of dog fighting is no way to prevent it. 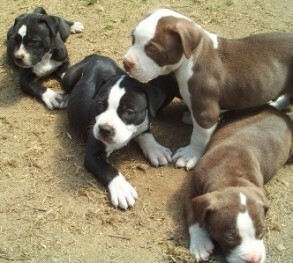 KG Dogfighting serves only to perpetuate the myth that pit bulls are dangerous because they have inherently violent temperaments and “locking jaws.” These irrational fears have caused breed-specific legislation (the blanket term for laws that ban or regulate certain dog breeds) to become commonplace in the name of public safety. Based on hysteria rather than scientific evidence, these laws do nothing but force family pets out of their homes and into shelters where they are often euthanized. One need only to read the stories of Michael Vick’s rehabilitated fighting dogs to see that pit bulls are only dangerous when humans cause them to be that way. A game that glorifies dog fighting in no way suggests the conduct is wrong. The Humane Society, the ASPCA, and PETA have all sent out action alerts urging their members to contact Google and Android and ask that KG Dogfighting be removed. Even Michael Vick has spoken out against KG Dogfighting, calling it a “glorifi[cation] of animal cruelty.” When Michael Vick is the voice of reason, you know something is wrong. KG Dogfighting should be boycotted. Play with a pit bull puppy instead. A game? Really? Well if this cool, then I’m getting to work ASAP on a game where i can shoot these stupid bastards in the head! At least THAT would be doing some good. What’s next? Crazed Chicken Farm? Bovine Blowout? Set the Cat on Fire?